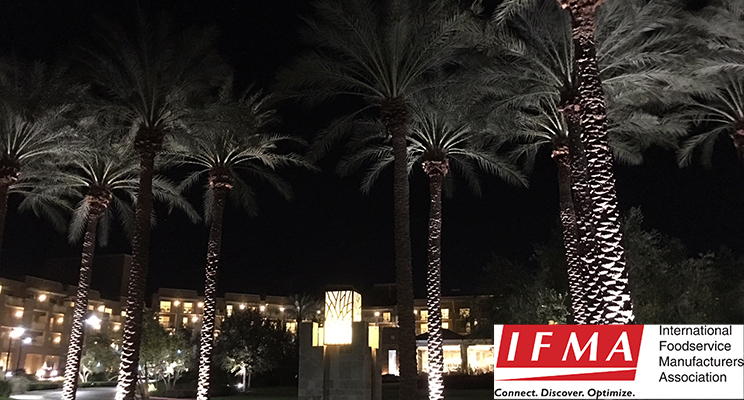 I spent a good portion of last week in Phoenix AZ, attending the sessions offered at the IFMA President’s Conference. I listened intently to industry experts as they all provided an independent piece of the puzzle that is the future of foodservice. With little competition to be mentioned, data headlined the conference and is projected to be the single definer between those who will meet success in the foodservice future and those who won’t. The primary challenge manufactures are facing along this front, is gaining access to consistent, standardized data that can be used for multiple internal purposes to maximize its value, specifically at the operator/end location level. An audience poll at the event reflected that only 21% of respondents feel there is more data available to their teams versus subsequent years, and only 41% feel their organization is equipped to utilize this data consistently to drive its decisions. The message was loud and clear, and repeated, over and over throughout the event, in times of change and uncertainty, good data will provide a clear and concise directional path to help navigate a course through unchartered waters. And the timing was perfect. Powerhouse disruptors like Amazon are using data to drive their strategies and manufacturers, distributors and operators will need to become more collaborative to continue to compete for their share of the plate. Data trust was reviewed and so was a proposed solution, Blockchain. Blockchain is a protocol or a set of rules about how data is treated and its main purpose is to establish trust in data to reduce time and costs associated with verifying data. It effectively “chains” data together so it can’t be tampered with allowing end recipients to have inherent faith in the information’s integrity. Foodservice represents a highly competitive and fast paced environment and the need for timely business decisions is not going to slow down in the years to come—as new disruptors will continue to emerge and the share of the food dollar, that was once counted on purely by foodservice, is now being slowly eroded by things like the grocerant (grocery prepared food to eat in or take away) and mixed meals where only a portion of the table is foodservice based, paired, alongside prepared at home sides or mains. One thing is certain, with almost a ½ billion people living and eating in North America several times a day, there remains a significant opportunity for manufacturers, operators and food retailers to continue to thrive economically, and the way to thrive, as consistently shared by countless IFMA speakers, is through access and analysis to, and of, good, trustworthy data. AFS Technologies, who partners with the vast majority of the Forbes Top 25 Global Food companies, supports large manufacturers to cleanse, standardize and map distributor velocity and claim data back to their master customer and product files, allowing their teams to analyze both non-rebated and rebated operator sales more effectively. If your team is struggling to gain access to operator data in a standardized format that will allow you to develop and implement powerful focused strategies with your end location customers, I’d welcome the chance to connect. 12 years plus in Consumer Packaged Goods with expertise in Trade Finance, Master data, and Sales Operations which included leading enterprise level projects and system implementations.